When you leave school you’re hit with the pressure to make the right choice. Recently in Ireland, the “right choice” has become synonymous with going to university. It’s gone so far that when many people fill out their CAO forms, they instinctively and subconsciously fill it with level eight courses without considering other options. Now for some this is the way to go; some just know that university is for them. However, if you don’t feel like this it’s not so easy to dodge that pressure. In Germany, more students go on to do apprenticeships and other forms of further education than to university. This is because they’re planning their future based on their skills, not on an underlying pressure to go straight into a level eight course. It could be said however, that the fact that we have one of the highest rates in the EU for school leavers moving on to Higher Education is a sign of an improving education system, or even of a product of the recovery. Our country is more educated than ever before, and this growth is, of course, a good thing. What we now must address is the different paths available to avail of this education. Not all of those paths lead to university. Yes, through university you gain irreplaceable life and academic experience, but if that’s not the kind of experience that you wanted, or that suited you in the first place, you could be left questioning if that was the right path to take. The education system needs to make room for more apprenticeships, level seven courses, and PLCs. Students should know that their first choice doesn’t have to be something somewhere that sounds impressive. These need to be promoted as valuable options for school leavers. We shouldn’t act as if everyone suits university when university doesn’t suit everyone. Does this social pressure warrant going to college for the sake of going to college and then choosing a different career path? 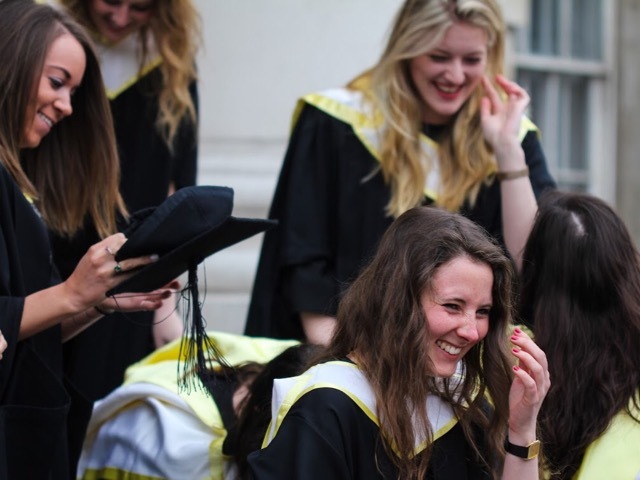 Do those years matter when we come out of university into jobs we’re over-qualified for? What do those three or four years mean to us then, when they’re not even seen as necessary? All these problems sprout from how society looks at educational options, and significantly, how parents look at them. Many will encourage their children to go to university regardless of their attributes or talents. I chose my course because after spending three years studying one subject, I would like to be employed in that subject. While the increased accessibility of university is incredible, too many people are ending up there when they belong somewhere else. The step forward is to show students in secondary school all of their options equally as extensively; universities, ITs, PLCs, apprenticeships, and whatever other options they have to make a decision independent of social pressures.